Gruppo Campari has bought the Italian bitter, liqueur and grappa producer Fratelli Averna for €103.75 million, acquiring 100% of its portfolio. 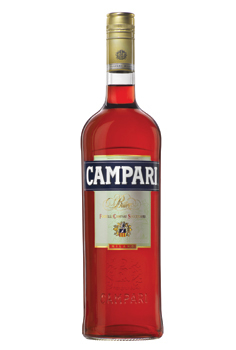 The deal will see Gruppo Campari take control of the 150-year-old company’s entire portfolio which includes the Averna, Braulio, Limoncetta and Frattina premium brands strengthening its leadership of the Italian spirits market and marking its first foray into the grappa category. Bob Kunze-Concewitz, chief executive officer of Gruppo Campari, said: “With the acquisition of Averna Group, we continue to strengthen our portfolio of premium offerings and consolidate our position as the leading purveyor of premium Italian liqueur and bitter specialties worldwide. “Adding a portfolio of brands with high quality, high margin and strong cash generation capability, this acquisition represents a great opportunity for us to leverage our international route-to-market for profitable growth, in line with our acquisition strategy. Other than in Italy, we will increase our critical mass in key Central European markets, particularly in Germany. Averna has a 15% market share in the Italian market but also has a growing presence in central Europe and the US. In 2013 the Fratelli Averna group achieved total net sales of €61.8m in 2013, up 3.1% on the previous year. Around 40% of the group’s sales is generated by the Averna brand, with Braulio and Limoncetta accounting for 11%. Fratelli Averna, based in Sicily, was founded more than 150 years ago by the Averna family, and has been continuously managed by the founding family for five generations. Campari, which also recently acquired the Forty Creek Canadian whisky distillery for €120.5m, expects the Fratelli Averna deal to complete on 3 June.